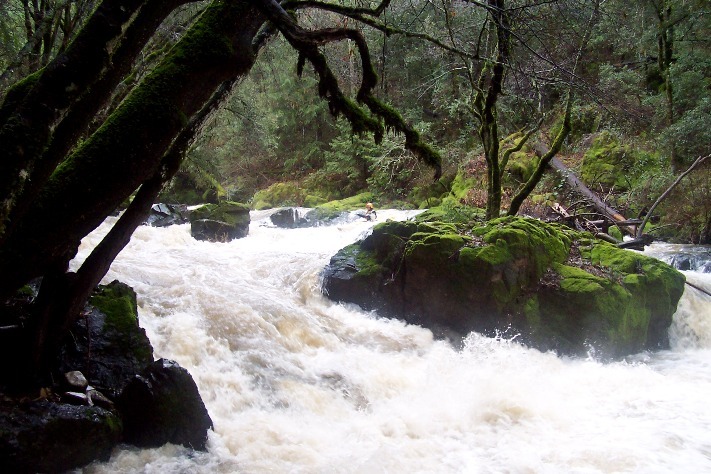 Stretch: Alison Ranch Road or Old Auburn Road to Bissell Ct.
WHave you ever driven past the Railey’s grocery store in Grass Valley and thought, “I wonder what Railey’s is the headwaters to?” Me neither. 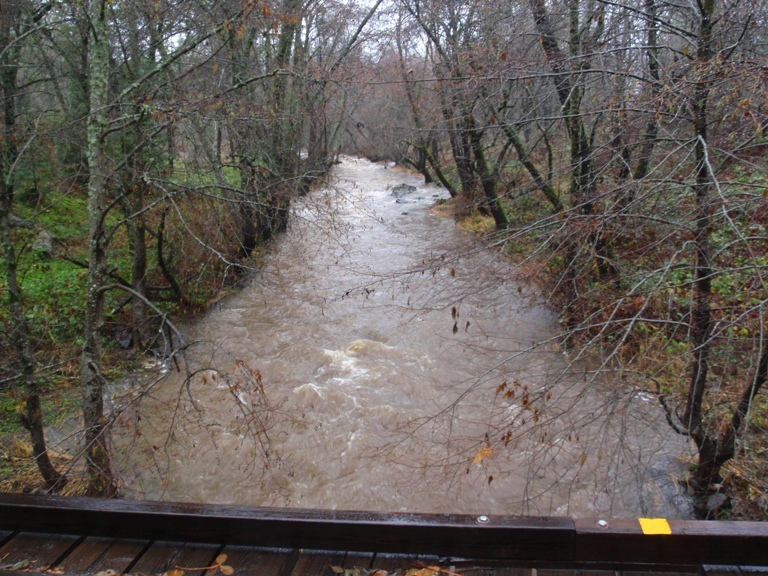 But the answer to the question is Wolf Creek, a decent size tributary to the Bear River below Highway 49. I have wanted to do this run for as long as I can remember knowing about it (3 days). 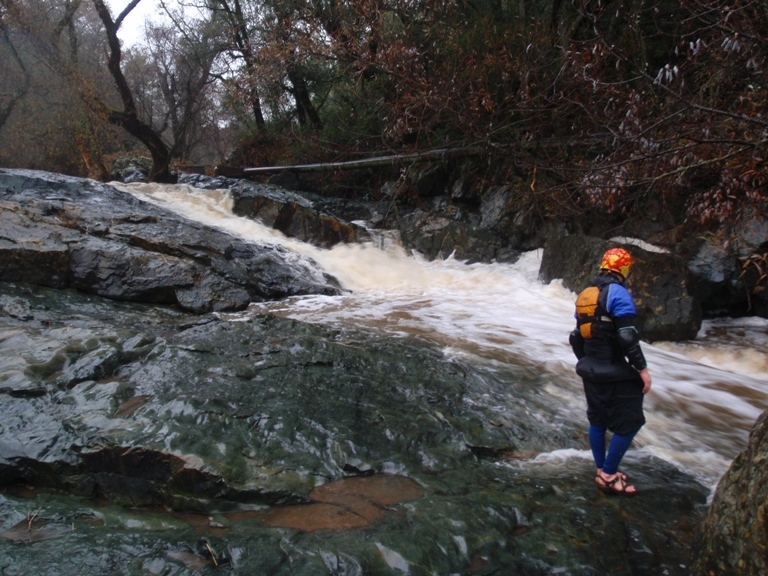 And thanks to some continued rain, my first run of the 2010 season (I know it is only December) was Wolf Creek. 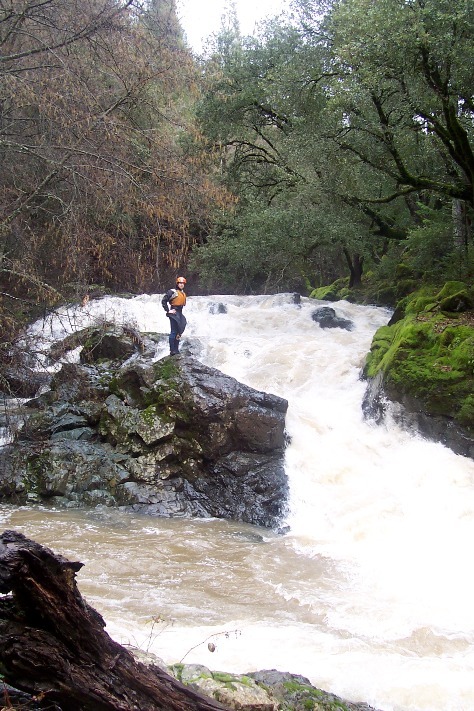 This run is far from classic, but worth doing for a change of pace is located not far off of Highway 49 in Grass Valley. The Day that Brad introduced me to the run the water was running a little on the low side so we opted to not put in at Allison Ranch Road and instead cut a few miles off and put in at Old Auburn Road. 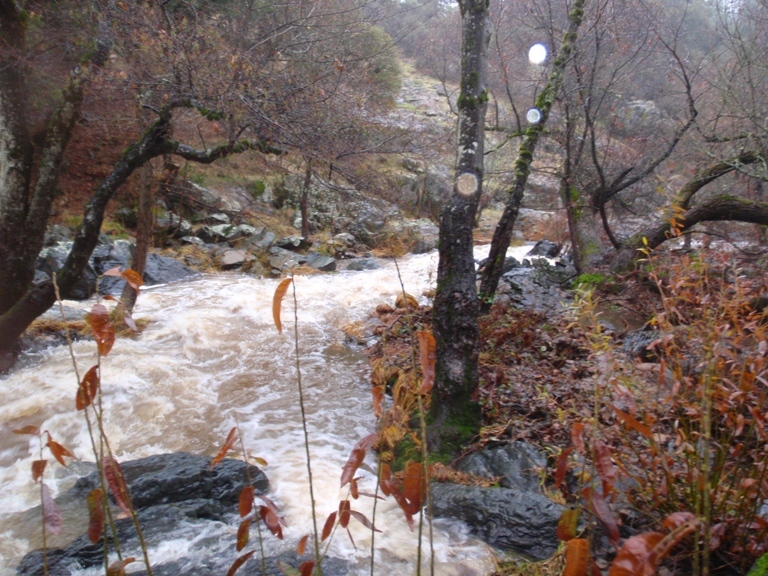 The lower section has rapids in a gorge and the lower water is more ideal for it than the upper half. With that said, more water would have been nice. There was some mank, and some rock bashing, most of which would clean up at higher water. 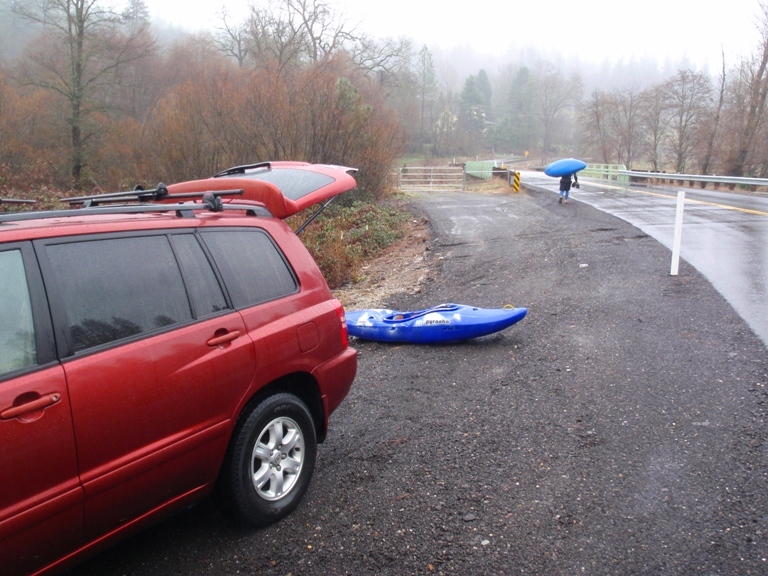 With that aside, the rapids in the gorge were great fun, and would have been even more fun if one of the bigger ones didn’t have a log in the line. Oh well. There is also a section higher up but there isn’t much there. 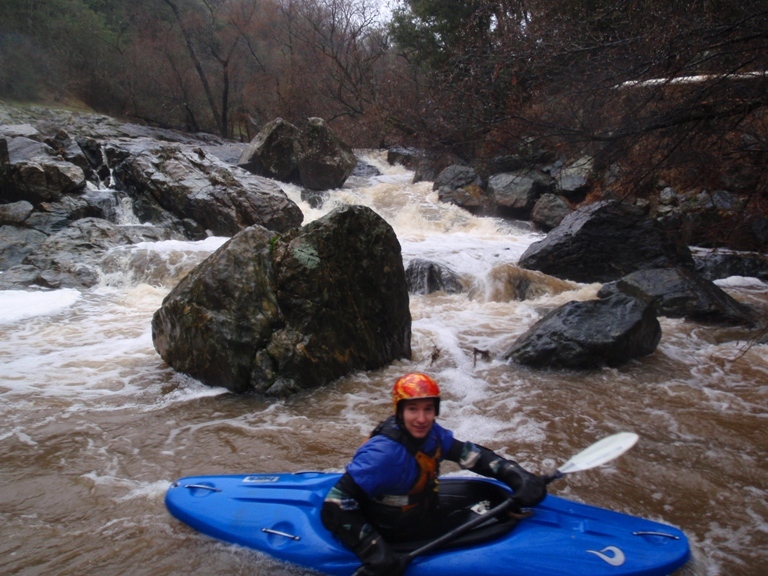 Although I didn’t do the top half, Brad Compton who has most likely the only descents of this little creek told me the top half is mostly class III with two standout rapids. One of which may be a portage for most. It has been run though. Anyways, fun run, don’t take a boat you care a lot about, hope for water, and enjoy. Descriptions of the two sections above what we ran courteously of Brad Compton. The section from the mining museum to Allison Ranch road is mainly class 2, but a little sketch because it is relatively continuous and hard to get out of the water at some points due to blackberries. 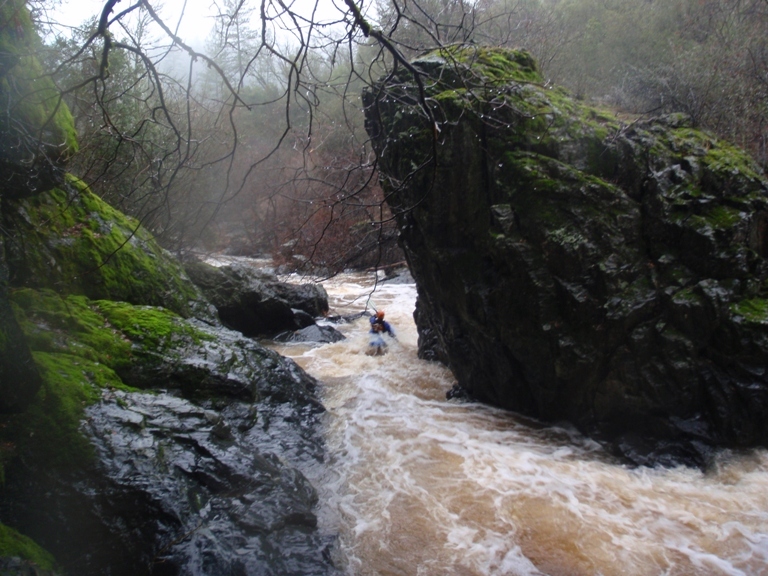 I remember 3 rapids that stand out as class 3, one was a slot drop that made an s turn, one was a spread out ledge about 4 feet high with a shallow landing, and one was a boulder garden at the end with a fun pillow move. 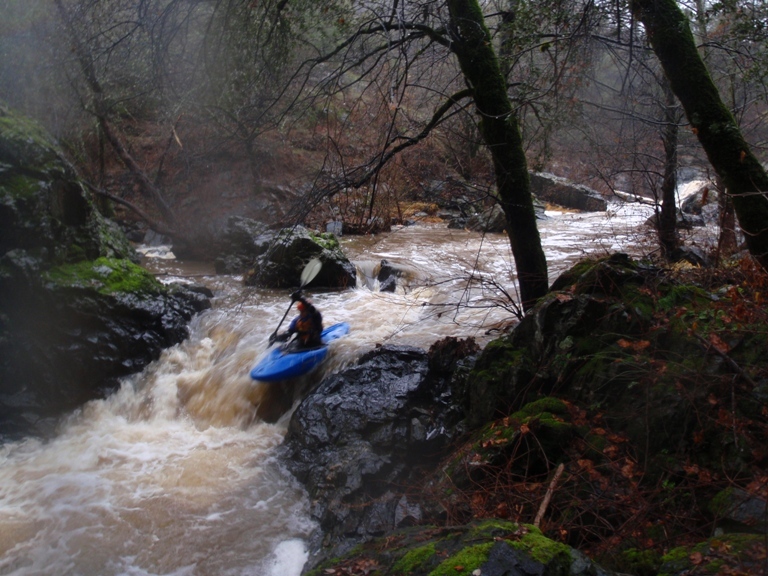 I don't really think that section is as worthwhile, unless the water was up and you just wanted to extend your day. In that section there is a dam toward the beginning that is a portage, then 1/4 mile of boogie water before the big ones. Those 2 pictures I sent you are really close together. You run the first drop, then there are 3 or 4 eddies on the right you need to catch, or else run that big ugly one blind. They are easy to catch, but if the water is high there isn't a ton of time. 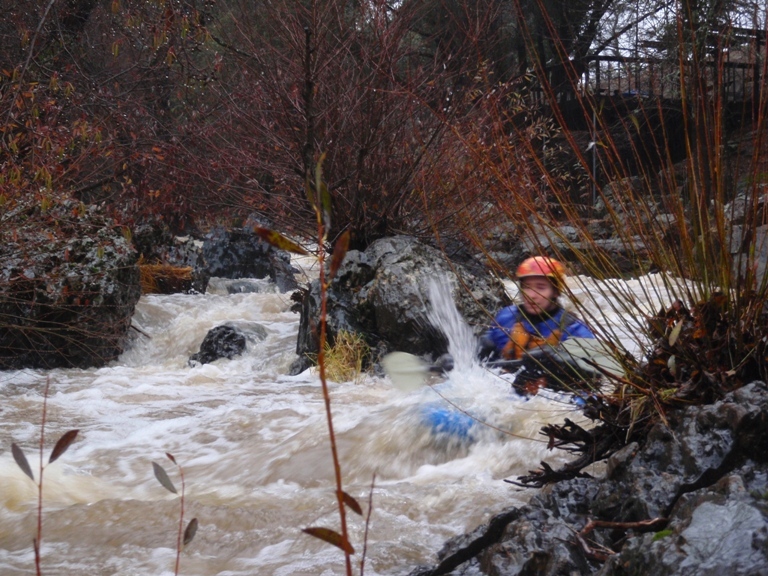 Maybe 100 to 150 feet of fast water, with the eddies on the side. 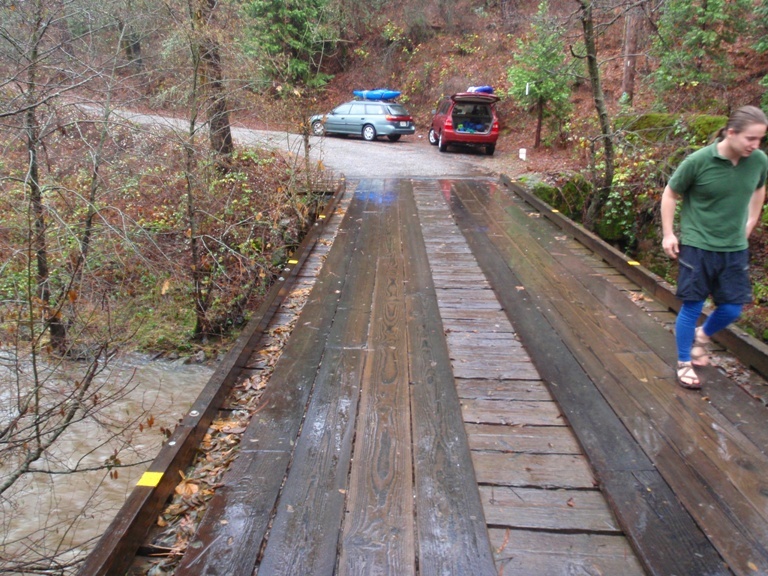 After that it eases up to class 3 for 1/4 mile or so, then flat water with a limbo log at one point until you reach the bridge. Not much happens, eventually you come to a ledge hole (class II), that is a signal that the goods are approaching. Long and Junky (IV-). 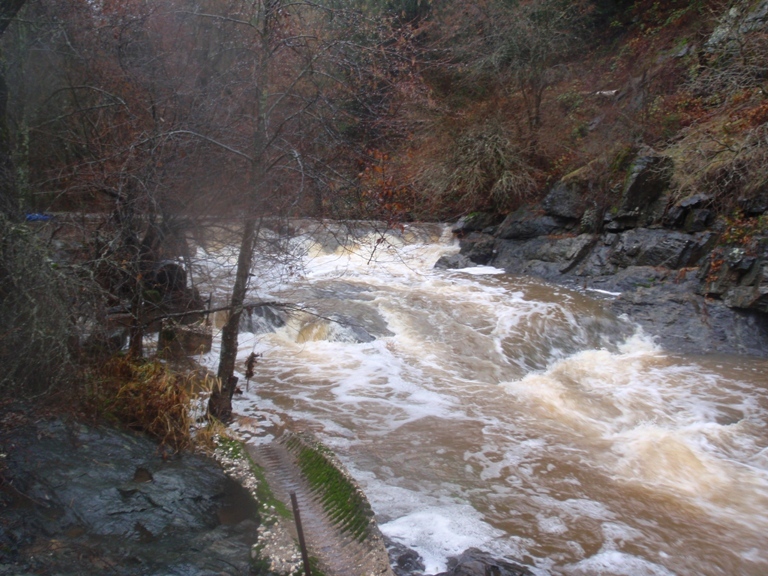 A long junky rapid with some wood and some badly placed rocks to avoid. We ran down the far left the whole way. The Hard School (IV+ to V-). I have never gotten the first descent of anything before. 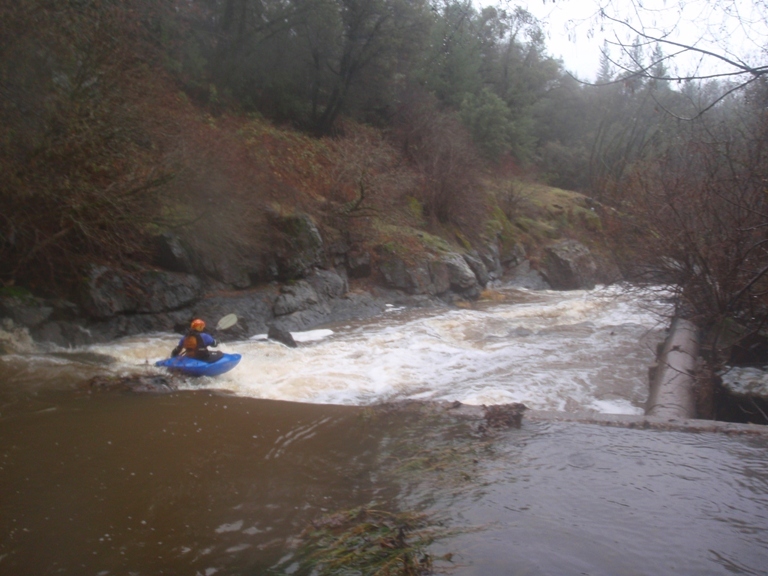 But this rapid had never been run in its entirety before due to Brad’s only trips down it being solo trips (we think he is the only one to have run the creek). 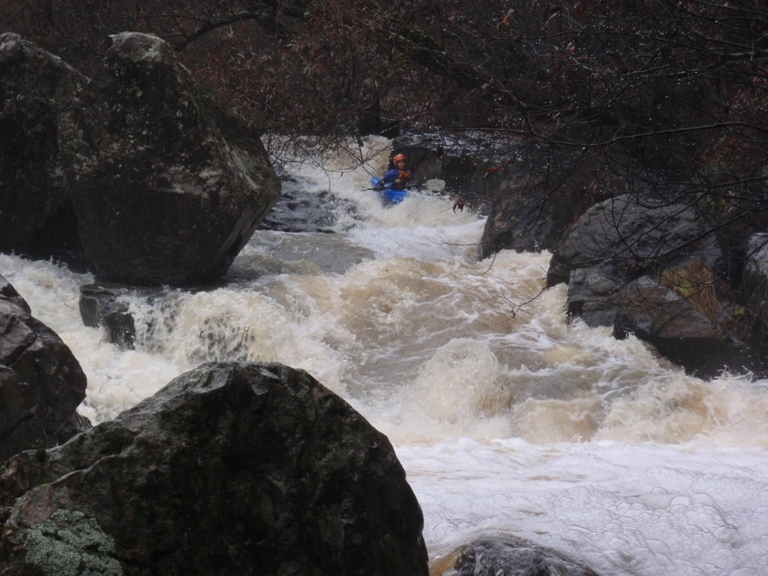 This rapid is the most impressive rapid on the entire run and would have been a candidate for a “Double Drop” name if I were giving it a generic one. Instead, I am going to name it after my high school band’s fan club… not that we had one, it was more like a group of friends who took pity on us and occasionally partied in our garage with us. Anyways, the rapid starts with a slide dropping 10 feet or so. The left side fades off into a room of doom and a nice hole. The center drops you right in front of a rock. You want to try to stay right to boof off the slide and avoid the rock and the room. 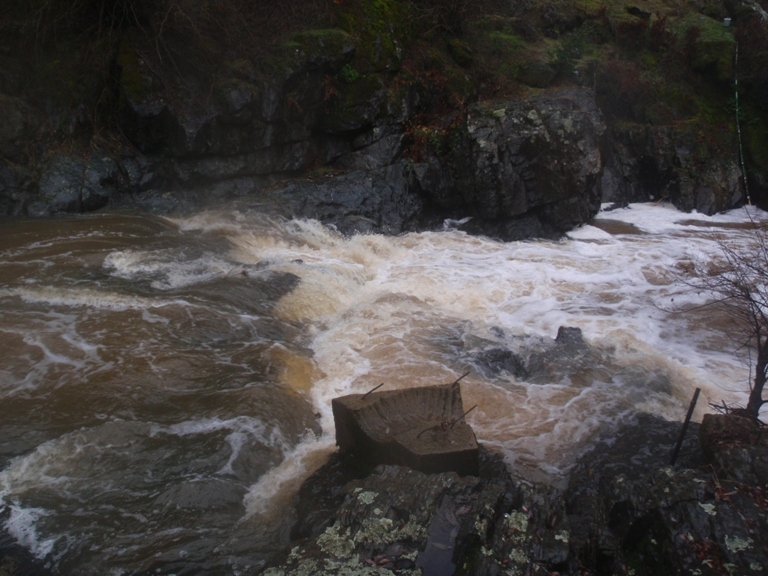 The river then keeps sliding at a lower angle, large curler on the left will push you right and then the river drops over a ledge into another hole. Good fun, went easier than it looked, I just wouldn’t want to be upside down in it. Triple Drop (IV+ to V-). 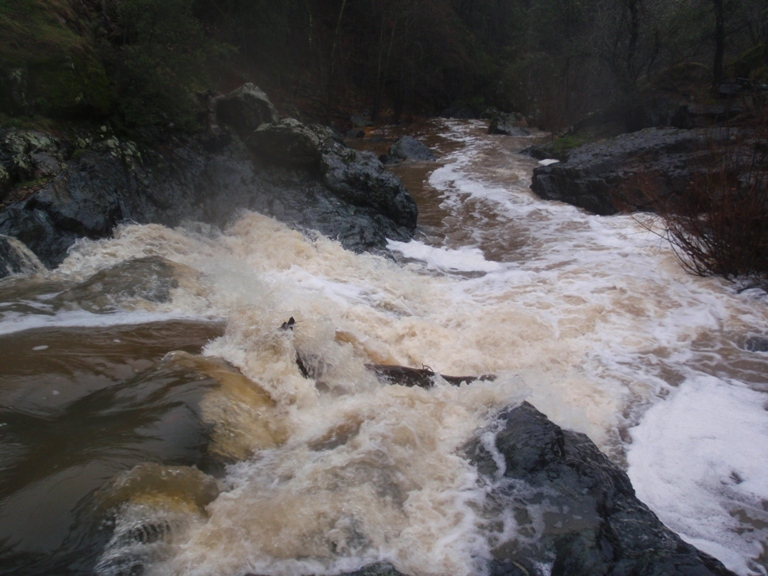 If it weren’t for a log in the main line of the bottom drop, this rapid would have been great. Three tiers with the last being the largest. All have been run. 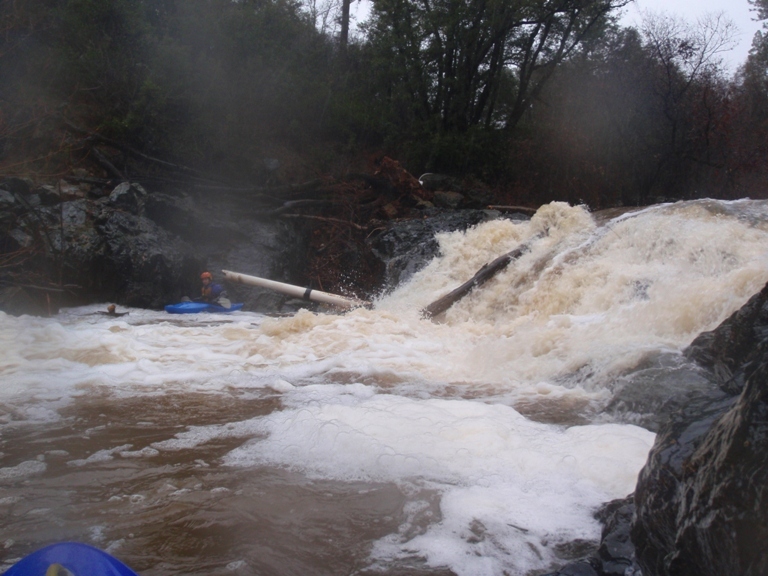 As it was, we ran the top two, caught an eddy and portaged the bottom one with the log. 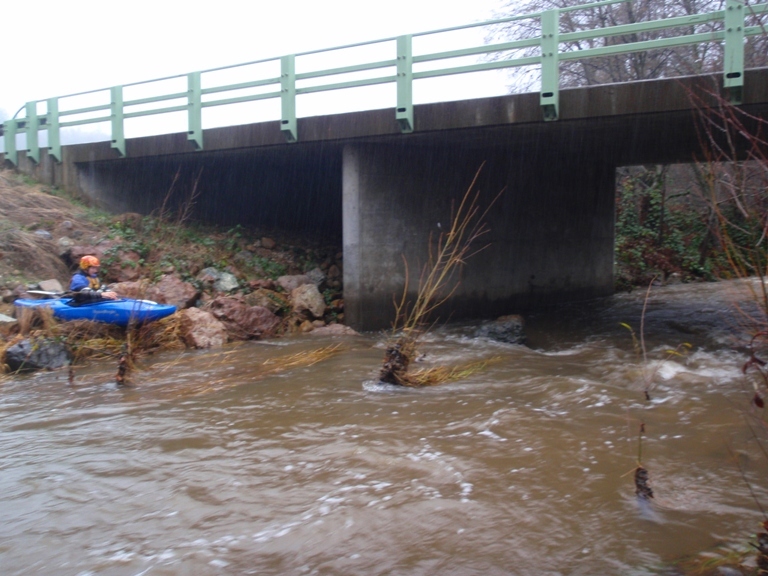 With more water this rapid would be great! Around the Corner (IV). Just downstream the river bends around a large house size rock. 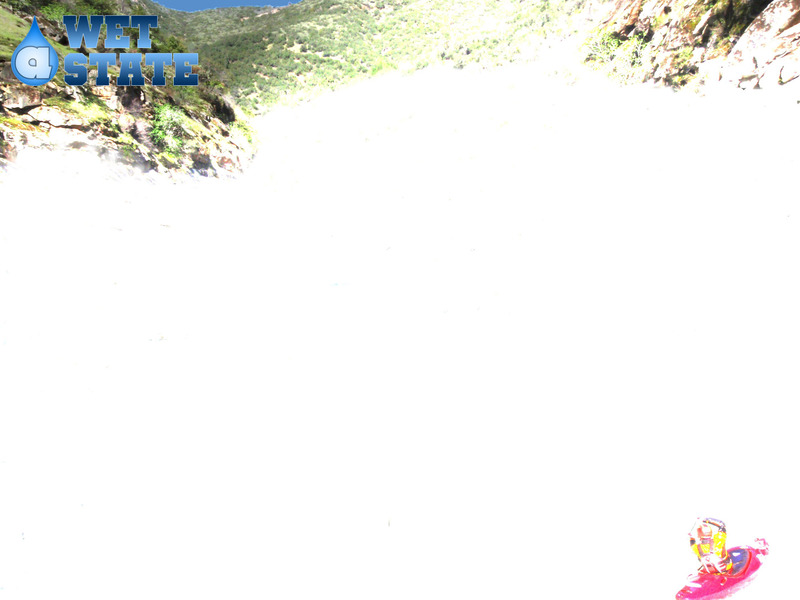 We boofed left into the eddy in the wall to peer down the next leg of the rapid. The next section is a straight shot then head left down some fun class IV run out. Pinch (IV). A junky pinch drop ends in slack water. At the low water, the water drove right towards a bolder, then dropped left into a hole with a rock in it. I got my nose up and didn’t piton, but Brad wasn’t so lucky. Easy stuff from here on out. Take-out: Driving east on Highway 49, take a left on Old Auburn Road which is a side street with no major exit. It is a few miles prior to getting to the Highway 20 exit towards Marysville. Then drive 100 feet and turn left on Luna Drive. Stay on the main road, at one point kind of heading right onto Bissell Ct. Follow it down to the river. There is only space for two cars or so. 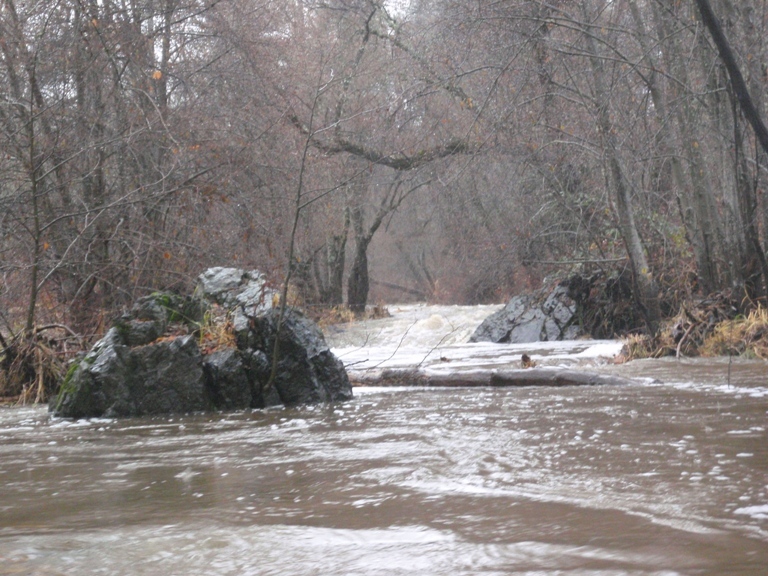 Put in: Go back to Old Auburn Road and continue driving on it until you cross the creek after a few miles. Park just past it. If you want to go to the top put-in, instead of leaving from take-out and continuing on Old Auburn, get back on Highway 49 and head to the Highway 20 exit. Cross Highway 49 and take the first exit on the right. turn right at the stop sign and then continue straight at the next stop sign on Allison Ranch Road. I am not sure where the river access is, but I am sure you can figure it out with Google Earth.